proudly introducing an extensive page listing all major players in South Korea engaging in Electronics and Computer fields . I cannot sufficiently accentuate the importance of product support when buying an electronic product, for many things can go wrong especially if it has moving parts (like DVD-players, Vacuum Cleaner and Washing Machines) or has an LCD panel (like digital cameras, camcorders and monitor & TV). although Global companies would ideally seem to have the same reputable service around-the-World : no, it all is relative (as Einstein might have pointed-out) for like many continents around, Korean vendors thrive in a very different consumer service practice than the States and Japan – where consumer and customer, respectively is King – mostly because they can still get away with an attitude taking advantage of national pride as tribal clans . *although major links on this BLog are regularly updated, companies and their support centers do change their location so links and/or address at the time of your viewing, may not be current – last updated May 2015 . plus most local websites linked would be in Korean, even on Global brands . Fujitsu Korea head-quarters is located at KyoBo Building right next to the American Embassy in GwangHwaMoon/JongRo, with a handful support centers in major cities including DaeJeon, GwangJu, PoHang and Busan . I want to take my PS2 to get it fixed but I am unfamiliar with Yongsan area or any of the shops that can fix it. Can you please let me know of any shops that will fix game consoles. I would really appreciate your help with this. Thank you for your help and your website. 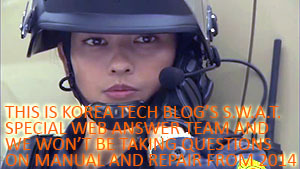 Official Sony Support Centers partly listed on my Electronics Support Page on top menu, will fix pure-bred machines only . for hacked or bricked devices you can ask any of the many, many game stores in the Ghost/Tode Market mapped on my YongSan Electronics Market Page again on top menu, but they may burden quite a repair fee . this is because the underground game market is like a corner cafe in gaie Paris, where you need to get to know a merchant (as in casual buy) before they will offer you (rarely free but) cheaper repair . my advice is to yonder over to the top floors of Electronics Land also mapped on my YongSan Electronics Market Page, where the merchants have less customers so begin talking to them in a tone you will return for future purchase . common ailment for a hacked/bricked machine : a burnt main-board will cost around W70,000 . 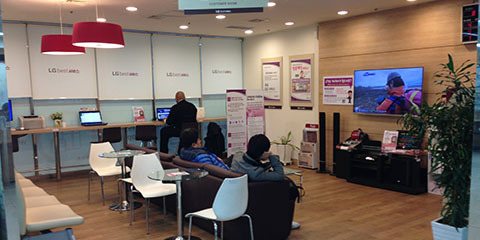 have updated open hours at LG Electronics support centre in YongSan Electronics Market above . should be open today : Labour Day since it is NOT a national holiday . the good aspect of SamSung and LG Conglomerates is that they have support centres, almost in every “Gu” administration district in populated areas – so no need to head for YongSan if you live or work afar . Hello , i just wanna ask, in using acer’s laptop. and now my laptop was not functioning. do u know where i can fix my laptop in Gwngju ? I really need to fix it asap . since i have many assignment need to be done . or as always : you have the option of taking it to an independent repair centre . electronics districts guide in GwangJu has yet to come, among other cities mapped on Top Menu . for now, it is one block North-East between GeumNamRo 4-Ga and 5-Ga Subway Stations . I want to repair my mobile phone but since going to the official Samsung center is too expensive, I wanted to know if there are any places that fix all brands of mobile phones, where, although not being official service center, it might help. Have You tried being the lost free-lance writer in a strange land ? whose exactly same ones are expensive than On-Line stores . – we do not recommend specific shops here, but Good Luck and TIA ! Hi, I have a Sumsung note 2. I dropped the phone which caused the screen to break and now i can’t see anything. But the phone it self is still working because i can hear if someone calls me or sends me a message, also the volume and the on/off button works. so it is just the lcd screen that is broken. My questions is where could i get my Lcd screen fixed? without losing the data from my phone, because i have no backup even from google or simcard. 1.SamSung Electronics Support Center or your point-of-purchase is the place to inquire on this, as it may depend on your Warranty . if it is VOID OR you are out of its effective geographic boundaries, the rule-of-thumb is : about W100,000 for the outer glass and W80,000 to replace the inner LCD Panel (Yes it consists of two different layers). chances are ONLY the glass is cracked, if all circuitry is functioning . this will be at one of their Repair Centers, usually located upstairs of SamSung Electronics Show-Room located throughout the Peninsula . 2.however the price drops to HALF at independent repair shops – who may VOID your warranty, even if they swear “won’t”. You will need the aid of a Korean-speaking colleague or friend, to find a reputable one in your area – preferably with a [User-Review Post-Board]. 3.both of the above will opt.to back-up your data before replacement : BUT will make you sign that you will NOT hold them responsible, if they lose it in the process . so you should do it yourself before, where there are two ways : automatic full-backup, and selective manual . the former is much more easy and found in your operation manual, while the latter can be found by Searching “Android back-up”. I want to repair my LG W-120L watch. The sensor green lighting is not working. Heart rate sensor is not functioning. I am in Busan, South Korea. There is no point in discussing this here, as LG Electronics have such effective support – in BOTH drop-in repairs AND ordering parts . I prefer them to even SamSung as they are now impersonal, in having to deal with the bulk of the Korean populace . 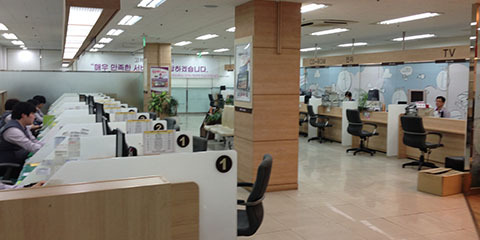 more-over : both conglomerates have quite a number of support centers around the Peninsula . if you are NEW to the joyous Port-City : I can recommend one closest to you . First i root my LG after some time i unroot my device and now my device do not update the new version please help me what i do??? Hi, my HP laptop is not working very well, so I think it has some problems. So whom should I tell about this, I mean which service center?